Everyone has officially gone full-on YouTube. Anyone with any type of device and with internet access is using YouTube. That’s approximately half the world and growing. Hundreds of millions of hours of video are being watched daily by tens of millions of people in every country. That means if you’re running a business or website, you need to be creating video content. And not just for the fact that everyone in the world is consuming video content, but also because YouTube videos rank highly on Google for any number of search phrases. If you want to beat your competitors, you need to build your brand up and make YouTube a big part of your marketing efforts. In this 8 part over-the-shoulder video course, you’re going to learn how to properly optimize your videos for YouTube. By doing so, you give yourself a considerable advantage over your competition. That means more targeted traffic for you. And traffic is the name of the game. You’ll be first introduced to the power of YouTube so you’ll know what to expect. From there, you’ll learn how to research your competition which will give you an edge when building your video content. 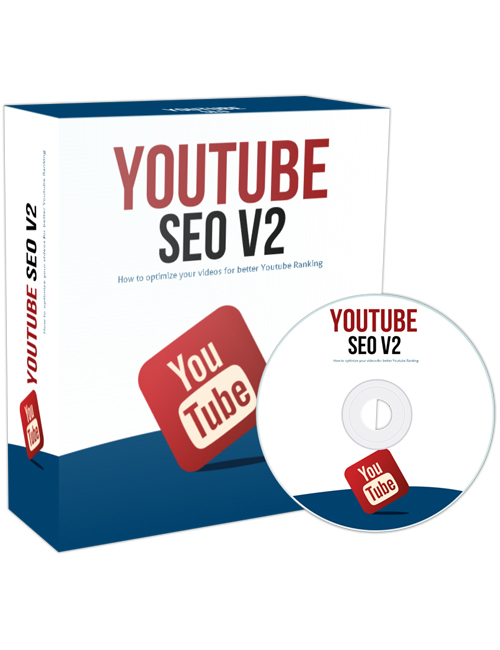 You’ll learn about finding and using the right keywords for your videos, filling out your title and description for the search engines, and optimizing your video files. All are important aspects if you want to kill it with your content. You’ll learn about creating fantastic eye-catching thumbnails which is a massive factor when it comes to getting clicks. Don’t worry if you’re not a design wiz, that will be covered too. Rounding it off, you’ll learn about the ideal video length followed by the secret sauce in helping you outrank your competitors. This might be the very best YouTube tutorial video to date and it’s definitely a must-download if you’re serious about your video marketing efforts. Please note that this product-download is over 1 GB in size.